Vintage Old Greeting Real Photo Photograph Photographic Embossed Postcard, Greetings. 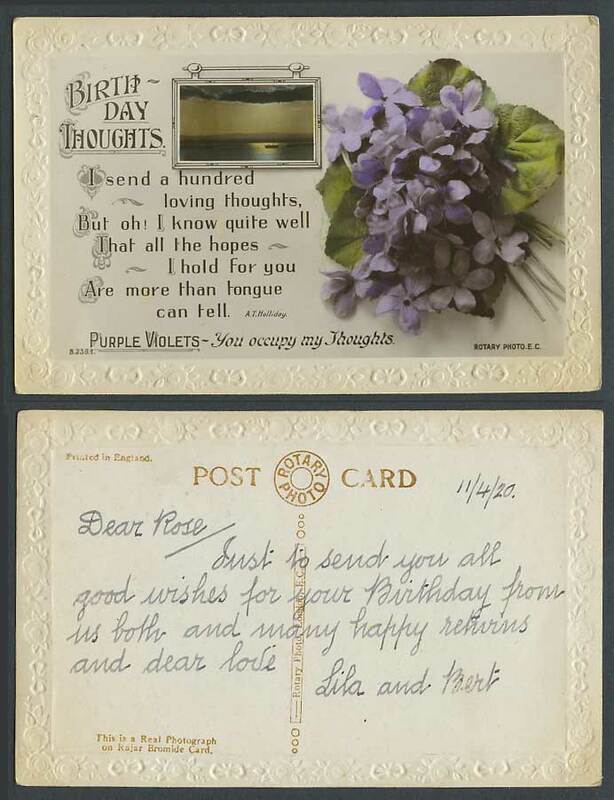 Birthday Thoughts, Purple Violets Flowers. Seaside Panorama.